Now that my Scrappy Trip Around The World is almost finished (just waiting on choosing backing and binding – and then quilting that big sucker! ), my hands were itching for a new project. Although let’s be real – I’m pretty much always dying to start somehing new! I can’t be the only person with crafting/sewing ADD can I?! Marcelle Medallion is the newest IG -along (follow #marcellemedallion or #medallionalong on IG for some gorgeous eye-candy! ), and I’ve decided to piece mine by hand. 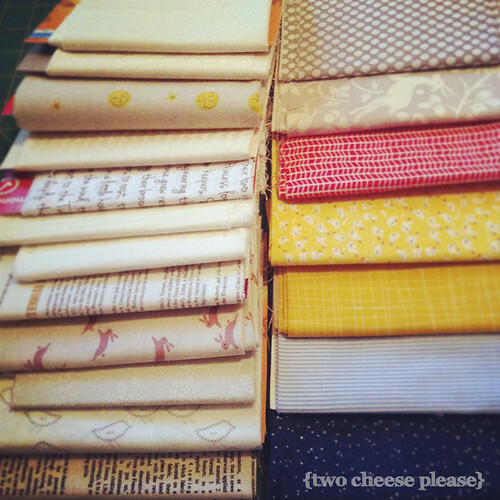 I love hand piecing, because I really enjoy the slow progress and feeling like I’m a complete part of the whole quilt. I make each stitch, I tie each thread, I thread each needle. 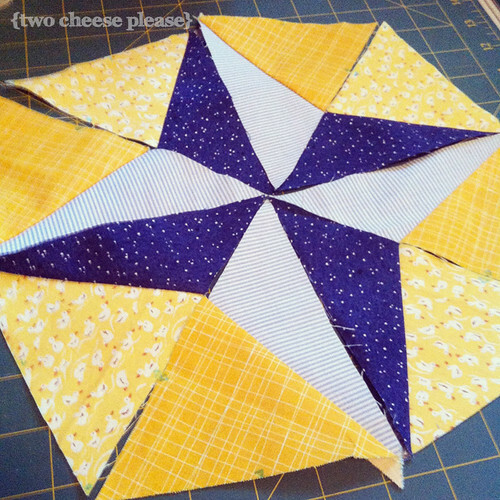 It’s also a great technique for harder blocks (like the centre star, which requires 4 Y-seams – everyone’s favourite!) 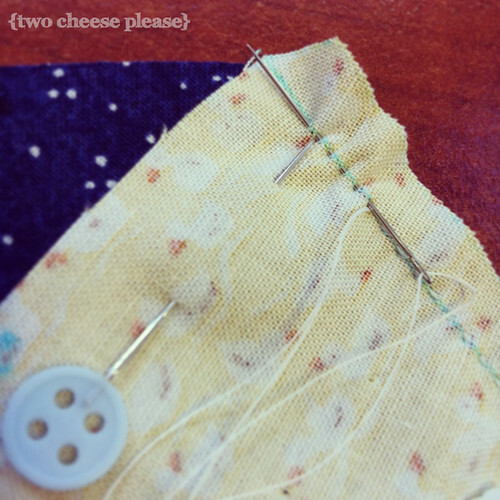 because you can go slower and have more control over your sewing, rather than my usual technique of “shoving it through the sewing machine”. 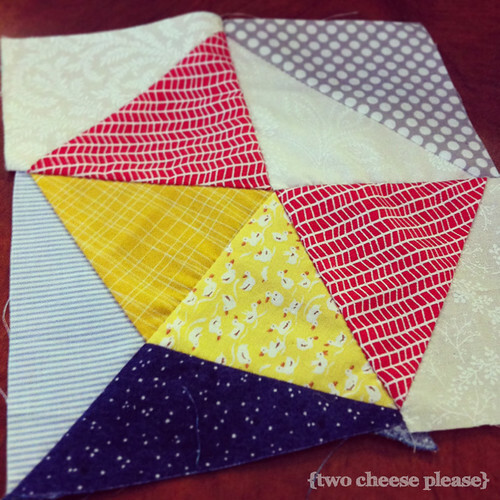 But mostly I love hand piecing because it’s letting me piece this quilt during my breaks at work. I have all my centre quadrants made and now I just need to sew them together and then I will have finished my centre star! I really enjoyed taking part in the 30Lists in September project last year, but but I don’t seem to be very good at sticking to a daily (or even weekly) challenge like that. I know some people enjoy the challenge and discipline, but with my hectic life it always seems to turn into another stress for me. 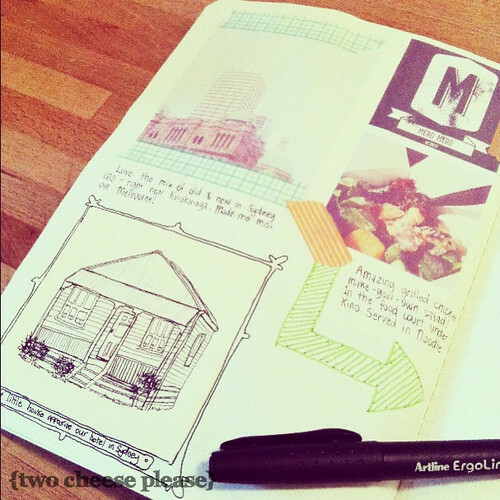 So I’m really excited at starting a just-for-me, in-my-own-time Project Life journal. I want to remember birthdays and parties and events and whirlwind interstate weekends. I want to record the journey in mking some of my favourite projects. I want to do more with my IG photos than just clog up my phone memory. And I just genuinely enjoy cutting things out and sticking them into books! I think the best thing about the Project Life idea is that you can do it completely your way. Chronical each day, each week, each month, or as often as you like. I’ve chosen not to use the official kit because I’ve always wanted to start a Moleskin. And I love the way books get all fat and crinkly and jammed full of stuff as you stick notes and photos inside. I guess my journal is a little bit of Project Life and a little bit of a Smash Book (watch the video here), and I completely love it! 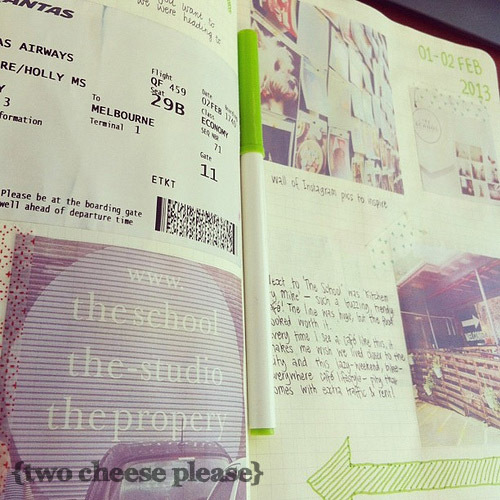 I cant wait to journal more things – I’ll share them up here when I do.